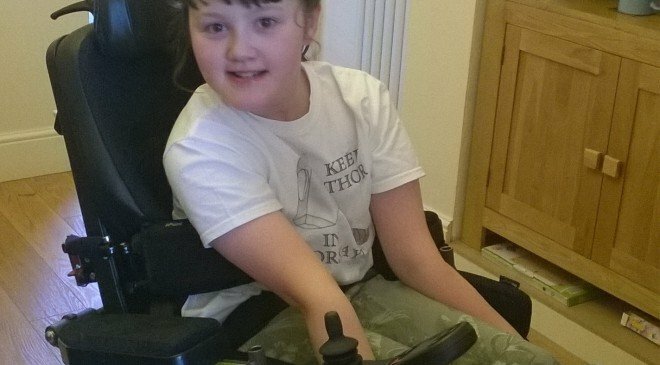 A sit-to-stand motorised wheelchair gives 10 year old Lucy the independence to move around by herself. Lucy has dystonic cerebral palsy affecting all four limbs. She is not able to sit, stand, walk, talk, write or feed herself and she relies on her family, friends and support workers to help her with every task. The Elifar Foundation has purchased this Permobil sit which enables her to more easily move from standing, sitting and prone positions. The £17,900 grant for the chair is the largest ever made by the Foundation and the trustees were able to agree this unusually high level of grant following a fantastic level of fund raising this year. They were hugely moved by Lucy’s story and the difference that the chair could make to her life. 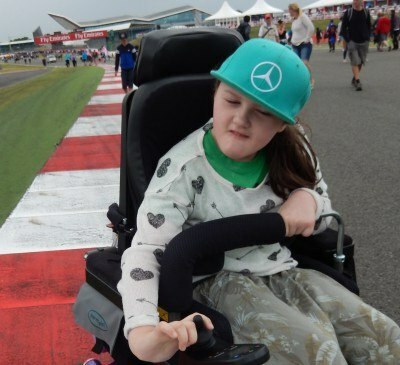 Lucy had trialled a similar chair for a week at school and both health and educational professionals could see the positive impact it had on her learning, confidence and wellbeing. Lucy is a bright child who attends a mainstream school with an attached therapy centre and uses a look2talk book to communicate.